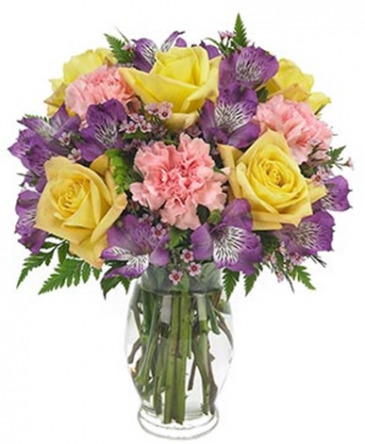 Wish them the best with this bright and colorful arrangement of roses, carnations and alstroemeria in a clear vase. A "fresh from the garden look" is sure to brighten anyone's day. 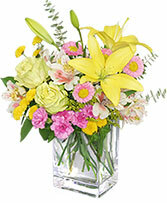 Call KARL'S FLOWERS & GIFT SHOP to send this spring flower bouquet or order online 24 hours a day. Thoughts of you Let them know that they are in your thoughts. 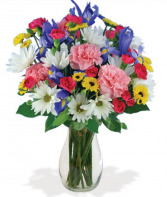 Brimming with a collection of bright flowers, our experts will hand select and arrange these seasonal flowers in a clear vase.